This stylish bath mat adds cosiness to any bathroom. If your feet get cold easily on tile, the bath mat provides an island of warmth and comfort. 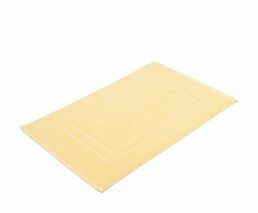 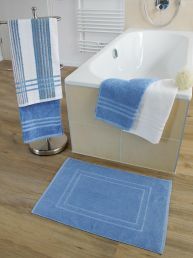 The Sylt bath mat offers superb quality. It is made of 100 % cotton and weighs 650 g/m². The bath mat measures 50 cm x 70 cm and is hemmed on all four sides. The Sylt bath mat is a unicolour terry mat. 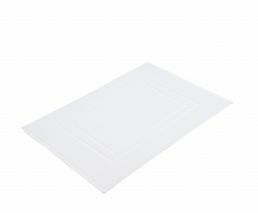 You can get it in white or coloured ‒ as best suits your décor. Additional to this bathroom rug we offer in the same quality a corresponding series of color matching terry towels.